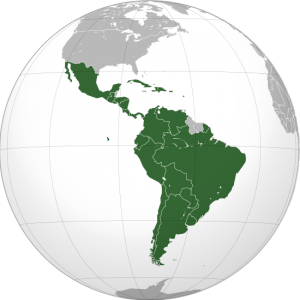 Today in class, students investigated the background on the region of Latin America by completing a Latin America Background investigation. Homework - p. 4 - On a separate sheet, write a letter of at least 10 sentences explaining to a friend what you learned in class today about Latin America (include facts). Reminder - You have a CLOSED NOTEBOOK quiz on Friday 11/17 on Unit 3 Vocab and the names of countries in Latin America (and where they are). Study using the flashcards (vocabulary and country names) on the class website.